I was lucky enough to be invited to a great even at the Lush Queen St Brisbane store with Bloggers United last month. 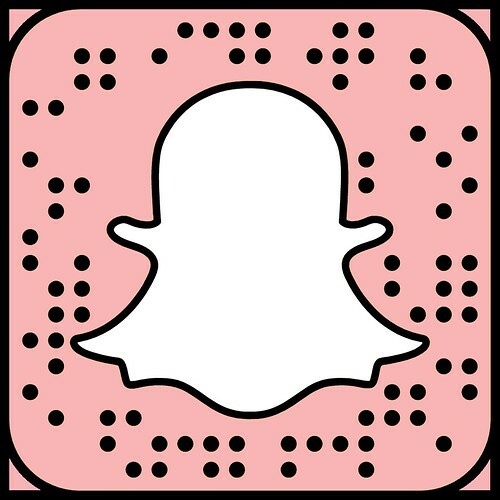 A bunch of us Queensland based beauty bloggers got together for dinner and then a fantastic run down of how to make Lush masks and basically just hang out in the Lush store after hours with good company. 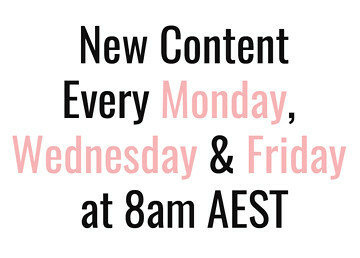 Bloggers United is a fantastic group that periodically brings all of us bloggers together, along with brands and experts to learn from. The party was to celebrate the second anniversary of Blogger's United and I was really excited to attend. We made the Cupcake and Catastrophe mask, shopped around and basically just tried everything. At the end of the night we were generously given a goodie bag as well as the opportunity to choose any product in the whole store. Also, most people probably don't know this but Lush also offers in-store parties for any occasion you care to book for: birthdays, hen's nights or a night with the girls. You can find all the details at their website here if you wanted to have a similar party to the one I attended. 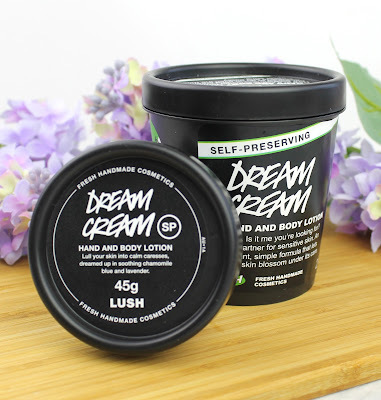 Dream Cream is my favourite Lush product so when it came time to choose any product, it was an easy choice for me. It comes in two formulas: the original and the self-preserving. They all have the same basic ingredients and gorgeous lavender scent but the self-preserving formula is a lot thicker and more intense. They both have all the great soothing and moisturising effects of oat milk, rose water, olive oil and cocoa butter which is absolutely incredible on my dry skin. I picked the self-preserving one because we are heading into winter but I think I prefer the lighter original formula for summer. They are both incredible though so you can't really go wrong. This one is actually a little bit unusual and, if we are being honest, at first I totally used it wrong and had to get back in the shower to wash off. You actually use this in the shower on your body just the same way you use a hair conditioner after shampooing. It is chock-full of so many intense moisturisers like almond oil, shea butter, cocoa butter and argan oil so it is really moisturising. I think I still prefer to use a traditional body lotion like the Dream Cream after I get out of the shower but for something different this is beautiful! If you love convenient in shower hydration, this one is for you. I think this would also be great for someone who doesn't like the feel of body lotion on their skin because it is a rinse of moisturiser. We also got a little sample pot of this cleanser and I found it really weird. For some reason the oil leaked out of the closed pot. I don't know if there was a hole or what happened but it kind of made a mess. Initially I thought it would be good for my dry skin but when I tried it, it was so so oily! It left such a thick residue on my skin and honestly felt really gross. I don't even mind using facial oils or cream cleansers on my skin but this just felt really heavy and I wasn't a fan. 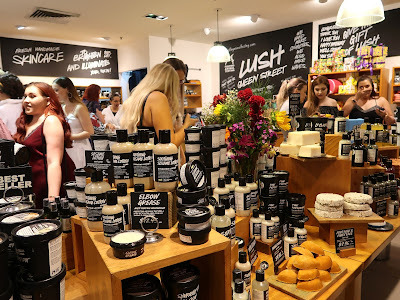 I had such a great time at this Lush event and I love their products so much. The Ultrabland Cleanser didn't work out but I am still totally obsessed with the Dream Cream and I think the Ro's Argan Skin Conditioner is a fantastic product for something a little different. 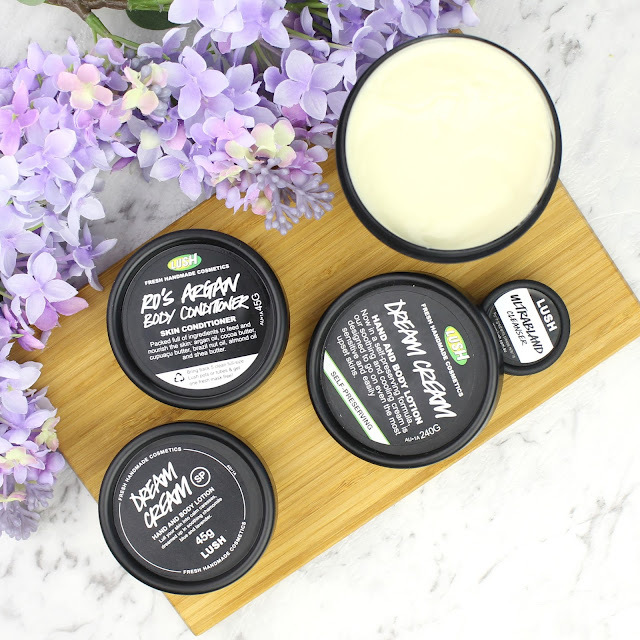 Which is your favourite Lush product? Will you be trying any of these out? Let me know in the comments below. Disclaimer: These products were gifted to me but there was no obligation to review them or say nice things. As always, my opinions are my own. 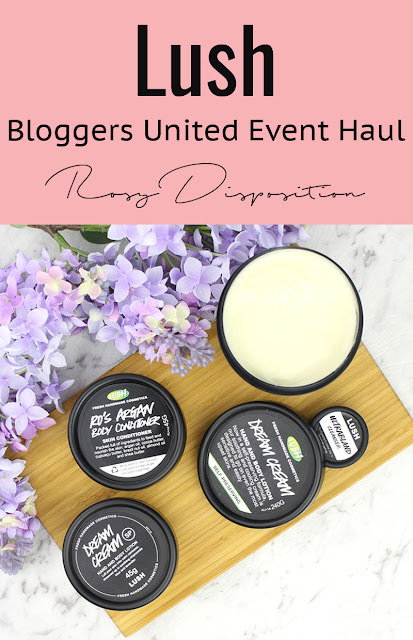 14 comments on "Bloggers United Lush Event Haul"
Oh I've got really dry skin too will definitely check out the dream cream lotion for that! 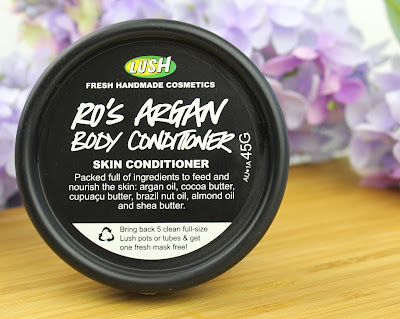 I'm also a HUGE fan of body conditioners, I was in the same position when I first tried it out, but now they are one of my fave products to use! I chose Ro's Argan Body Conditioner as well! I love this! Its a unique texture, but I'm so lazy so I love it in winter. And the smell is divine! I'm always lazy when it comes to moisturising my body too. I am so strict with my face care routine but when it is super late and I'm having a shower at midnight, I usually skip out on lotion. I should definitely get in the habit of using something like the body conditioner in the shower. Thanks for reading. I tried the ultrabland cleanser like five minutes before I read this post and now I wish I'd read this first haha. I had the exact same experience. I think I'm going to try it as a makeup remover/oil cleanser before I cleanse with my normal stuff at night to try to use it up. Lovely post! 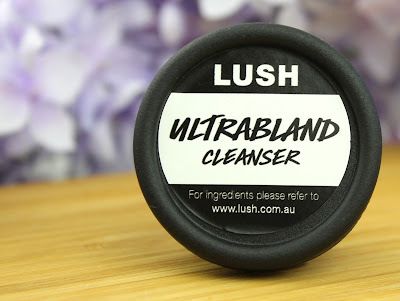 I'm not really keen on the Ultrabland cleanser either, it was quite weird! And so many people love Dream Cream but I really didn't get wowed by it at all. On the other hand, I LOVE the body conditioner! It's such an interesting product and I have really dry skin on my limbs so this helps a lot! The events are always super fun too. I love going to them! I picked myself up the Yuzu and Cocoa shower cream. My lord, that stuff is divine! The event sounds like lots of fun! Wish I could have gone to this LUSH event - it looked amazing! I had my birthday party on the same night haha.